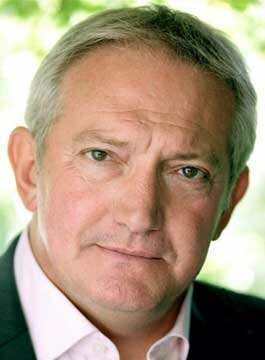 Graham Cole OBE is recognised to millions for playing PC Tony Stamp in ITV’s The Bill. Starting his career at Butlins as a red coat, he later moved into summer season, pantomime and musicals. He spent ten years in repertory theatre and as a result has created over 160 characters for stage, television and film. Graham Cole became one of the most recognisable men in uniform on British television playing the role of PC Tony Stamp in The Bill for 25 years. He has received many awards for his portrayal, and Graham still keeps his ties by supporting Police charities. Graham was the first civilian to be made an honouree member of The National Association of Retired Police Officers in 2010. This was voted for by police officers in recognition of the research undertaken to create and maintain his character. He became patron of PTSD999 in 2016 supporting our Blue Light personnel. Graham has been an ambassador for Childline and NSPCC for over 30 years and also supports many other children’s charities. He is a proud member of The Grand Order of Water Rats and furthermore was King Rat in 2009. Graham is President of Scouting London and South East, President of Voluntary Police Cadets and also an Ambassador for The Sir John Cass Foundation. He was awarded the Freedom of the City of London. He is also a Liveryman of The Worshipful Company of Carmen. A much in demand after-dinner speaker, he enjoys speaking at events and on cruises all over the world. In 2010, Graham was awarded the OBE by HM the Queen in the New Year’s Honours list for his contribution to Charity and Theatre work.